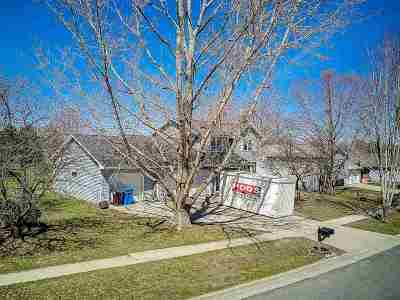 1303 Wimbleton Way, Waunakee, WI.| MLS# 1854378 | John Reuter Realtor/Broker/Owner of The Reuter Team. Wisconsin Homes for Heroes Realtor. Proud to be the Top Homes for Heroes Realtors in Wisconsin and One the Top Homes for Heroes Realtors in the United States. No Showings until Open House on Sunday 4/14 at 1:30. PRICED TO SELL! 2-Story Home w/a 3 Car Garage at $339, 900! 3 Bedrooms, 2.5 Baths, 1st Floor Laundry + Sun Room on a Large Private Lot! Large Kitchen w/Dinette Area + Living Room! 1st Floor Family Room w/Gas Fireplace! Master Bedroom w/Private Full Bath & Double Closets! NEW Roof-2012! NEW Windows-2014! NEW Water Heater-2012! NEW Water Softener-2012! NEW Furnace-2012! NEW Central Air-2012!